Industry leader, ServerCool, has launched a fresh and impressive new website, providing a more modern and responsive web presence. ServerCool stands apart from its competitors by being innovative, unique and being able to create bespoke products, tailored to their customer’s individual needs. 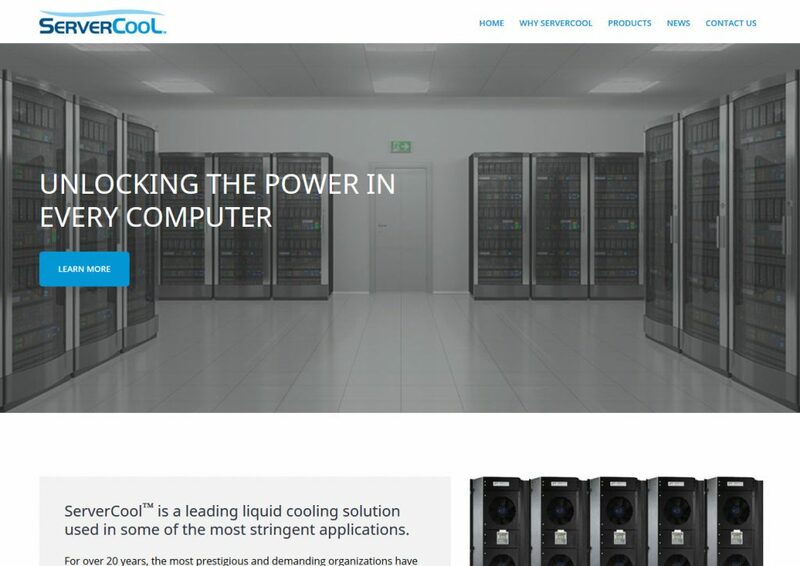 ServerCool’s liquid cooling expertise started in the 1990’s, enabling the company to emerge as the market’s reference for designing and building cooling distribution units (CDUs). ServerCool’s systems have been operating for decades across 20 different countries – proving outstanding performance and quality. Mat Hery, European Product Manager Cooling at ServerCool commented “The brand needed to update its image in order to align itself with the opportunities the future holds. The new website is simple to navigate, and highlights ServerCool’s modern technology, efficiency, flexibility and reliability”. As part of Nortek Global HVAC, the company footprint is global, and its ability to deliver is unequaled. In fact, ServerCool units can be found on some of the greenest, high-performing supercomputers on the planet.